CT Lung Screening – Wayne Radiologists, P.A. What is Low-Dose CT Lung Cancer Screening and how does the process work? 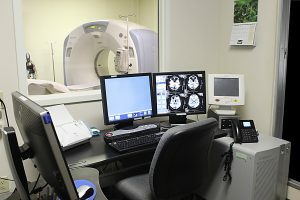 Low-dose CT lung cancer screening is a CT scan of the chest performed using a low dose of radiation to produce thin cross-sectional images of the lungs. These images are ideal for detecting small nodules that could be cancerous. The CT scan requires no prep and takes around ten minutes to complete. Before your first lung cancer screening exam, you must schedule an appointment with your primary care doctor to discuss the benefits and risks of lung cancer screening. A current smoker or one who has quit within the last 15 years. Coverage and eligibility requirements vary so please check with your insurance carrier to see if the exam is covered prior to your appointment. If you meet this criteria please contact your primary care physician for a referral to our office.